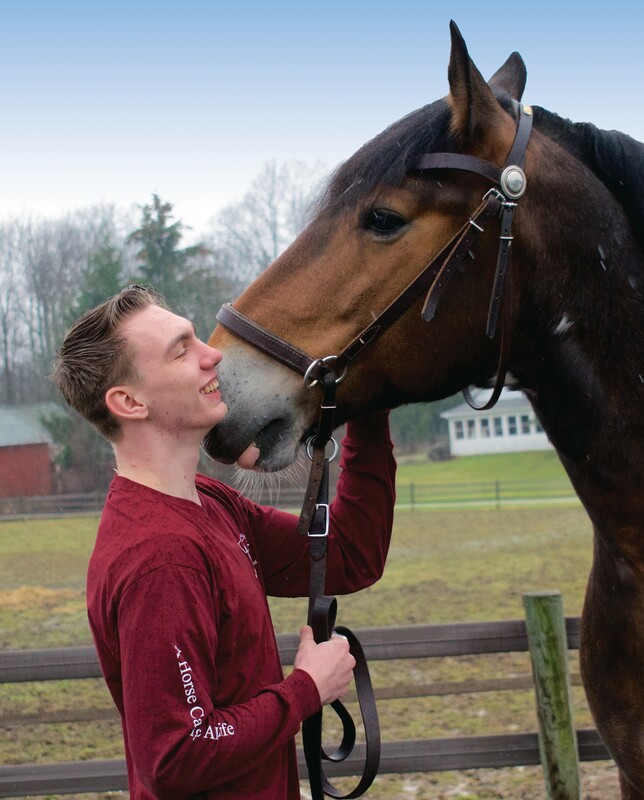 When Nick enrolled in Gaitway High School, Fieldstone Farm’s alternative school, he was sure he was going to drop out. He had been struggling in a traditional school environment. He didn’t have many friends, felt like he didn’t fit in and could not imagine Gaitway would be any different. His father and mother didn’t graduate from high school and neither did his brother. He felt dropping out was inevitable. But to Nick’s surprise, Gaitway was a place where he could turn things around. The students were accepting and didn’t judge. The teachers worked with him one-on-one and adapted to his learning style and used the farm environment to help bring concepts to life. The horses taught him about confidence, patience and regulating his emotions. Nick graduated last spring with six other students. Since the school’s opening in 2006, 68 have graduated. Thanks to their experience at Gaitway, 93 percent of graduates are going on to college, employment or further career training. Gaitway is a model in alternative education and has had such success that a Gaitway Middle School is in the works. As for Nick, he is now working in the food service industry and keeps in touch with the Gaitway team. Fieldstone Farm is the first therapeutic riding center in the country to host an alternative high school onsite, and today the farm works with other centers across the country to develop similar schools.